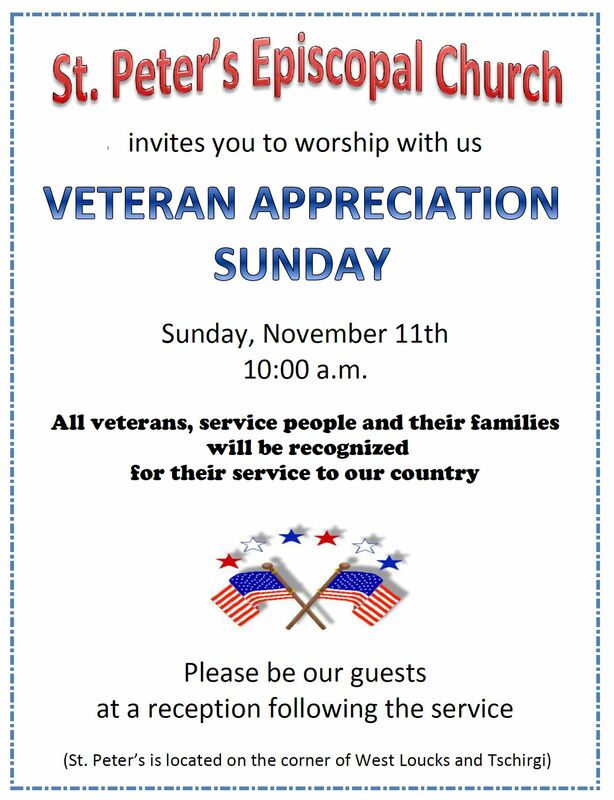 All veterans, service people and their families will be recognized for their service to our country. Reception to follow. 8:00 a.m. – 2:15 p.m.